Some people read that declaration and say "What's so darn fun about getting tired and sweaty?" You, dear hiker, read it and say "Hmm, I'm going to check out the hiking stuff she's found." You're just my kinda hiker! But I should warn you that fun is in the eye of the beholder. For me, getting sweaty and dirty by spending a glorious day out on the trail is the most fun a person can have in life. Reluctantly, I admit that not everyone would agree. But you must, if you've read this far. And that makes us sisters in the women hikers clan of fun hiking stuff! Here are my best sources of hiking fun, recommended in no particular order. 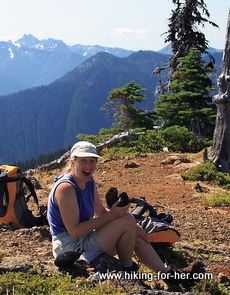 Fun hiking stuff should make you feel delighted to be a hiker! Giving stuff away! So. Much. Fun. There is always something fun to be given away on this website, so bookmark this current giveaways page and check back often. Sign up for the weekly email updates, and never miss out on a chance to win hiking gear, books, athletic clothing, and fun new products in flash (as in announced only in the weekly update) giveaways. Psst! If you sign up for the free monthly newsletter called Happy Trails, you'll find a secret password to use for exclusive HFH giveaways. take a peek at this Best Hiking Gift Guide, updated annually. Nothing that I can think of! Please join our private, secure and exclusive Over Forty Hiker community, described here. Close, but not yet forty? Take a look anyway, you might see a good reason to join the fun. Never overlook the value of a little hiking humor. Belly laughs are good for your skeletal muscles - all that gasping for air sends them lots of oxygen! Here's a plug for one of my favorite Seattle outdoor writers with a wicked sense of humor: Ron Judd. He's managed to make a living as a writer for the Seattle Times, plus pumping out an impressive array of hiking guide books. Bonus round: buried beneath the humor are little pearls of outdoor wisdom from a guy who has spent a lot of time thinking about gear, trails, hiking techniques, and outdoor safety. "Pestilence: Why God Owns Stock in DEET"
"Bears Are Your Friends - Just Not Very Good Ones". He's also pretty good at making you wish you were outdoors, which is the whole point of fun hiking stuff, right? Maybe you've always been curious about the birds you see and hear on the trail. Birding for hikers is an art unto itself. Or you could try a shot of hiking inspiration mixed in amongst the fun hiking stuff. 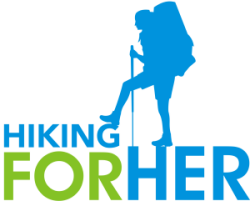 For example, have you ever pondered how women hikers deal with physical and mental challenges and adversity? Or what motivates a woman to set a hiking goal and then achieve it? I've got a short list of inspiring outdoor women, and I've noticed that they mix in a fair amount of fun hiking stuff as they tell their stories. Helen Thayer is at the top of the list. Hearing her speak at a National Geographic Live! event several years ago, I was amazed at her understanding of how the wild places on this earth can inspire women to be their best. And as I grow older, I value the trailblazers who don't let their age get in the way of their mileage. 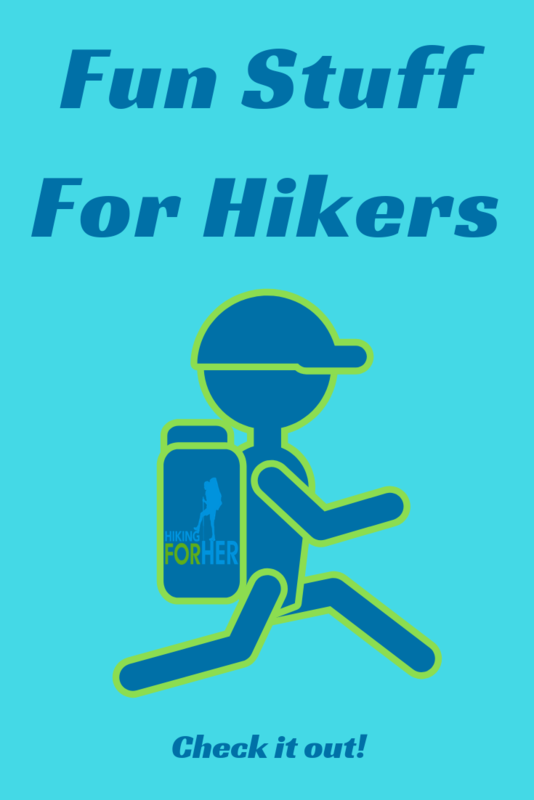 Ever ponder who the famous female hikers are? You can read my review of a new Emma "Grandma" Gatewood book for children here. You can inspire a whole new generation of hikers with this woman's story. Here's a great way to meet other hikers: Hike With Me. Or maybe organized groups might be your ticket to trail dust and fun. Have you heard of the Trail Dames? These women formed a hiking club with a great mission which I fully endorse: to get women out onto a hiking trail! "If you are a woman, then you are welcome. Any shape, size, color, religious, political, or otherwise persuasion...you are welcome." Great Old Broads for Wilderness. "Working to preserve & protect wilderness since 1989." There is no shortage of entertaining and educational blogs. These are penned by women hikers, and contain a potent mix of humor and wisdom. The only trouble is finding time to read all of them! What are your favorite hiking blogs? I'd love to swap lists with you - drop me a line below. Think movies are almost as much fun as hiking? Itching to do some iconic Mount Rainer day hikes? Watch HFH's videos to select your favorites. Hiking For Her's free dayhike checklist. Gifts for hikers: Use those suggestions to leave hints for your birthday, or delight a trail buddy on your annual celebratory hike. And if you have any "must add" suggestions for my list, let me know. Need an inexpensive hiking gift? And here's my current gift guide for hikers. If you're a non-hiker, you need this gift giving guide! Want a super fast but fun gift for your hiker? Send her a Cairn outdoor subscription box filled with trail worthy stuff. What about a hiking memento which can be passed down to future generations? Hiking stick medallions are a great way to remind yourself of that special hiking destination. Ever taken a hiking quiz? I designed a few to get you thinking about solo hiking. One more "fun" themed thought: check out these book recommendations. bringing a whole new meaning to fun hiking stuff. Name this wildflower! 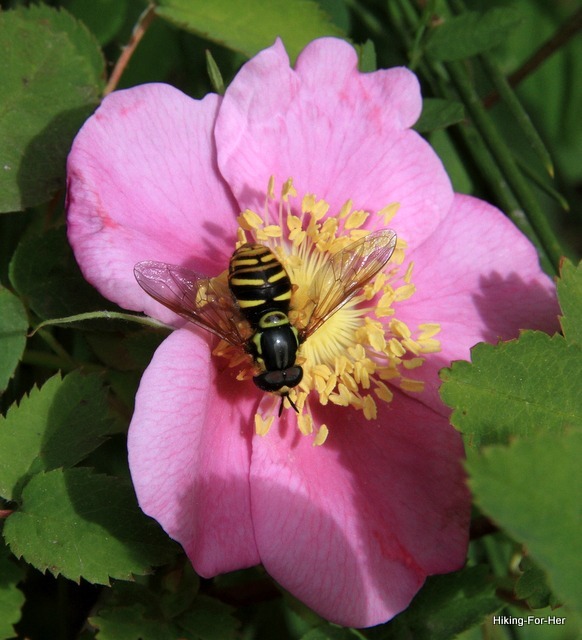 Extra points for the pollinator. Please help me add to the wealth of fun hiking suggestions, won't you?